There's very little legislation that even gets a look-in in the Commons currently away from the big Brexit debate. But one announcement that did garner some attention was Lord Bourne of Aberystwyth's confirmation on January 15 that the long-awaited ban on tenant fees will begin from June 1st. Who does the ban on tenant fees affect? The ban applies to landlords and lettings agents in England and Wales. However, the Welsh legislation will be slightly different as they are passing their own version. Are only new tenancies after June 1 affected? New tenancies and tenancy renewals after June 1 will be affected. After 12 months, the ban will apply to tenancies signed before June 1 2019 and any fee-related clauses in those tenancy agreements will be void. What fees are banned under the tenant fee ban? 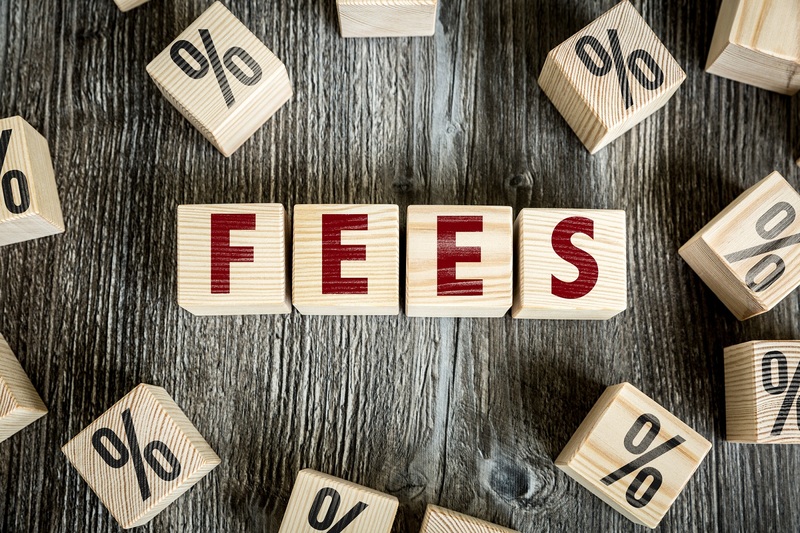 What fees can still be charged under the tenant fees ban? While rent, tenant deposits, holding deposits and contractual default charges are still permitted, they will be 'capped' as part of the tenant fees ban. Tenant deposits are likely to be restricted to five weeks' rent for 12-month tenancies where less than £50,000 is paid in rent. For tenancies where more than £50,000 is paid over a year, deposits will be capped at five weeks' rent. Holding deposits, meanwhile, will be capped at one week's rent. Landlords will have 15 days to confirm the tenant is acceptable - if they decide not to go ahead or the deadline passes, the holding deposit must be repaid in full within seven days. If the tenant pulls out after placing a holding deposit, repayment does not need to be made in full. Holding deposits can still be used as part of the main tenant deposit or as part payment of rent. Those that aren't should be returned in full to the tenant within seven days of the tenancy starting. Landlords can charge for default payments under the current draft of the legislation. That includes charging for late payment of rent or a lost keys to the property. However, these charges are capped and landlords need to detail the costs incurred in writing alongside receipts. In the case of late rent payments, landlords or managing agents can only charge the tenant 3% above the Bank of England's base rate from the date of the missed rent payment. Landlords and agents can also still charge minor fees if a tenant requests a change to the tenancy agreement (for example, a new tenant). This charge is capped at £50 unless the landlord or agent can prove in writing that further costs were incurred. Have deposit deductions changed under the tenant fees ban? No. Landlords can still seek to make deductions for breaches of the tenancy agreement or damage to the property beyond fair wear and tear. If an agent or landlord takes a banned fee, tenants can apply to get their money back through he county court. The landlord or agent may be charged interest from the day the banned payment was taken, while Trading Standards can issue a fine of £5,000 for first offences. Repeated offenders could face fines of up to £30,000, as well as a banning order. Moreover, landlords who take banned fees from tenants and do not pay them back are restricted from issuing section 21 eviction notices on the tenants. Louise Griffiths, managing director of Martin & Co, says: "As a result of the tenant fees ban landlords will see other agents making significant cost cuttings, which could potentially result in a significantly poorer service. "Martin & Co is committed to continue and improve on the excellent service we provide to our landlords and have already spent some considerable time mitigating proposed losses in preparation for the tenant fee ban. "That means we are able to limit any increases in costs to landlords and prevent steep rental hikes for tenants." Phil Steed of Martin & Co Twickenham adds: "Landlords should pay attention to the tenancy agreements drafted by their agent for tenancies that commence after implementation of the ban. Make sure they are updated and do not contain unenforceable clauses. "Landlords who are driven by price and price alone should take a step back and consider what a good agent actually does to earn the fee. "If they don't they could well suffer in the longer term." Stephen Frost of Martin & Co Chelmsford says: "I think the tenant fee ban will see the weaker agents leave the market and those that started to let properties back in the recession of 2008/09 will find it's no longer viable for them." Content based on current draft of the Tenant Fees Bill (December 11, 2018). Should the draft bill change, this piece will be updated.